While Latin America led the world in FDI growth last year, the region’s companies also forged ahead with an aggressive international expansion drive. FDI inflows to Latin America and the Caribbean grew by 40% year-on-year in 2010, to $112.6 billion, at the same time that investment in developed countries declined by 7%. Between 2007 and 2010, the Latin American region’s share of global FDI inflows doubled from 5% of the total to 10%. Brazil was the region’s main FDI recipient last year, with inflows rising 87% year-on-year to $48.5 billion, followed by Mexico, Chile, Peru, Colombia and Argentina. ECLAC predicts FDI flows to the region will increase by an additional 15% to 25% this year. Mexico led the charge to invest abroad, with $12.7 billion invested in 2010, followed by Brazil ($11.5 billion), Chile ($8.7 billion) and Colombia ($6.5 billion). 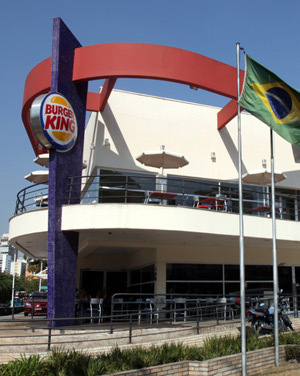 Many US-created brands, such as Chevron, Entenmann’s, Burger King, Pilgrim’s Pride and Swift, are now owned by Latin American companies. Latin American investors have been setting their sights on international assets, due to strong sales at home that have increased revenues, coupled with relatively inexpensive opportunities abroad. Yet, because the region’s investment inflows and outflows boomed last year, contributing to healthy economic growth rates, the IMF warns that Latin American economies may be overheating. An IMF report also published in May predicts the region’s economy will expand by 4.7% in 2011, up from a previous 4% forecast announced last October. Peru and Argentina are expected to post the strongest growth, at 7.5% and 6%, respectively. The IMF report notes, however, that “overheating pressures and possible excesses are appearing.” Among the concerns raised by the multilateral organization are a steady rise in credit growth, widening current account deficits and mounting inflationary pressures.